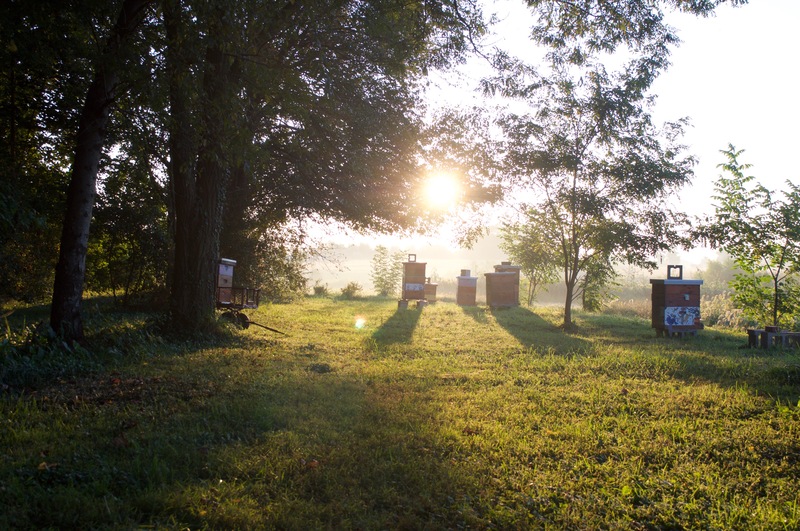 The purpose of the Honey Bee Behavior and Ecology Lab at University of Delaware is to create a calendar of bee-collected pollen in the Mid-Atlantic region, and determine the nutritional quality of that pollen. We did this by tracking our own hives, as well as hives at Mount Cuba. Our pollen calendar revealed spikes in the amount of pollen honey bees bring in. The first spike is in late May to early June. Then the amount of pollen brought into the hive steadily decreases throughout June and July, and spikes again in late August to mid September. The honey bees also collect a medium volume of pollen in March and April. Here are some suggestions of what flowers to plant in each of these spike times to keep your bees healthy and happy! Prunus – a genus of trees and shrubs, which includes the plums, cherries, peaches, nectarines, apricots and almonds. Thistle – In the high lime soil areas of the mid-Atlantic states, June-blooming thistles are extremely valuable for nectar surpluses. Ayers, G.S. and J. Harmon. 1992. Bee forage of North America and the Potential for Planting for Bees. In The Hive and the Honey Bee. Dadant & Sons, Inc., Hamilton, IL. Chapter 11, pp. 437 – 535. Caron, D. M., & Connor, L. J. (2013). Honey bee biology and beekeeping. Kalamazoo, MI: Wicwas Press. Hooper, Ted and Mike Taylor. 1988. The Beekeeper’s Garden. Alphabooks, London. pp. 152. Pellet, Frank. 1976. American Honey Plants. Dadant & Sons, Inc. Hamilton, IL, p. 467.